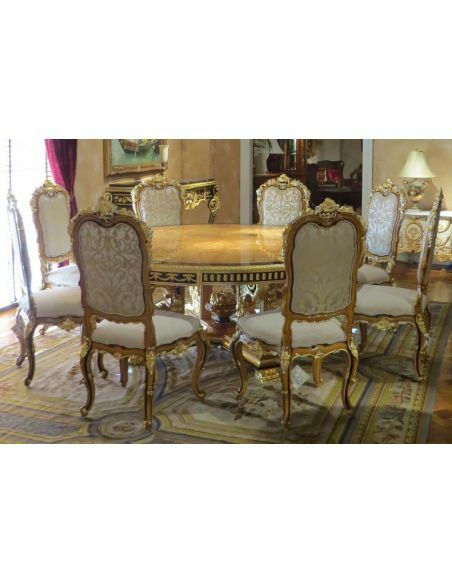 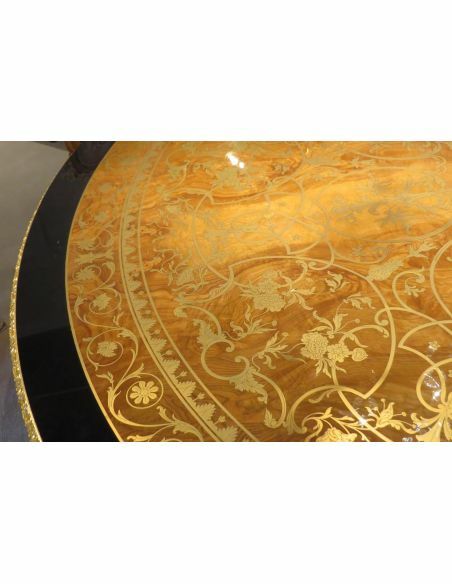 This stunning high end dining table from our King Louis Collection is hand crafted by artisans who are among the world's most talented in the modern world. 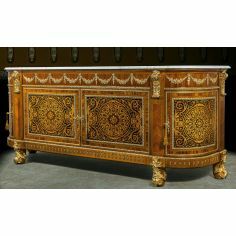 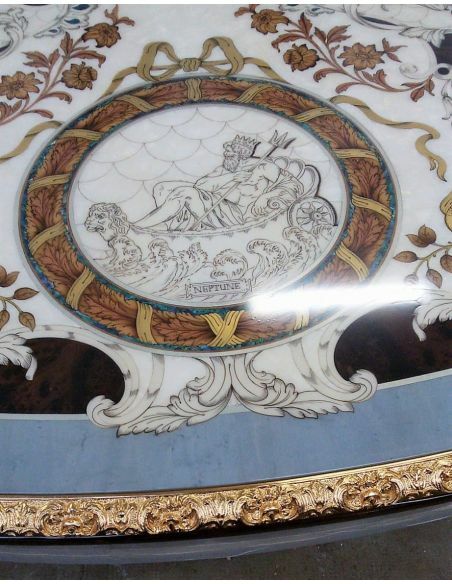 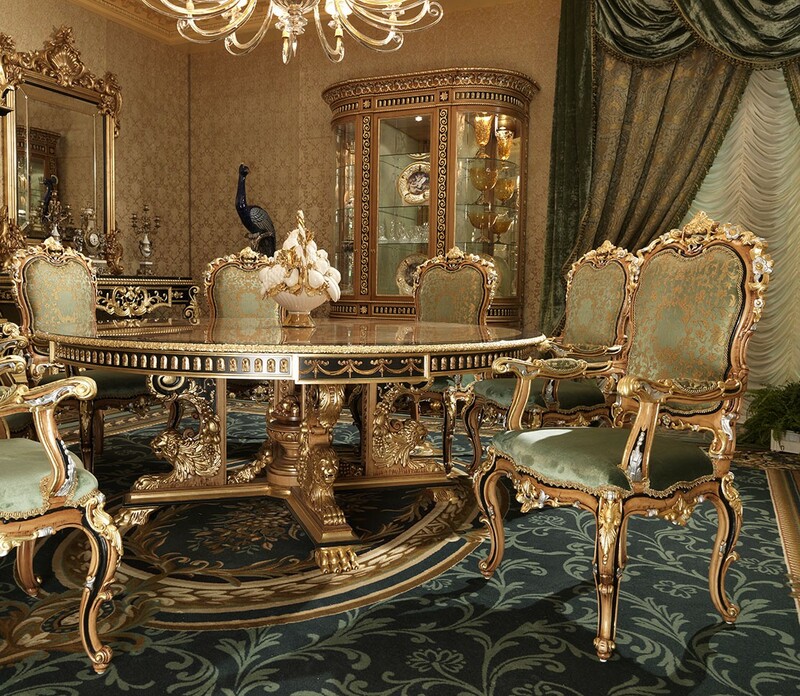 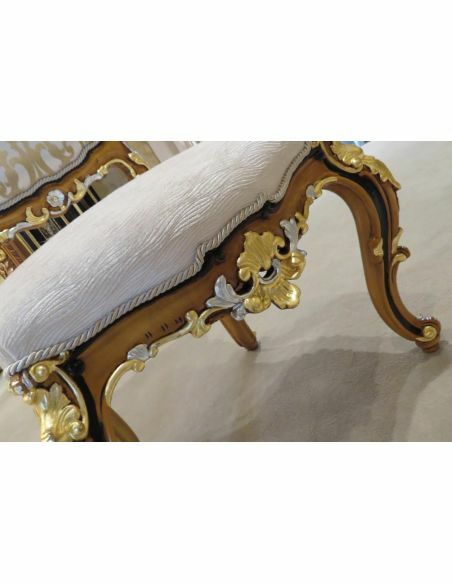 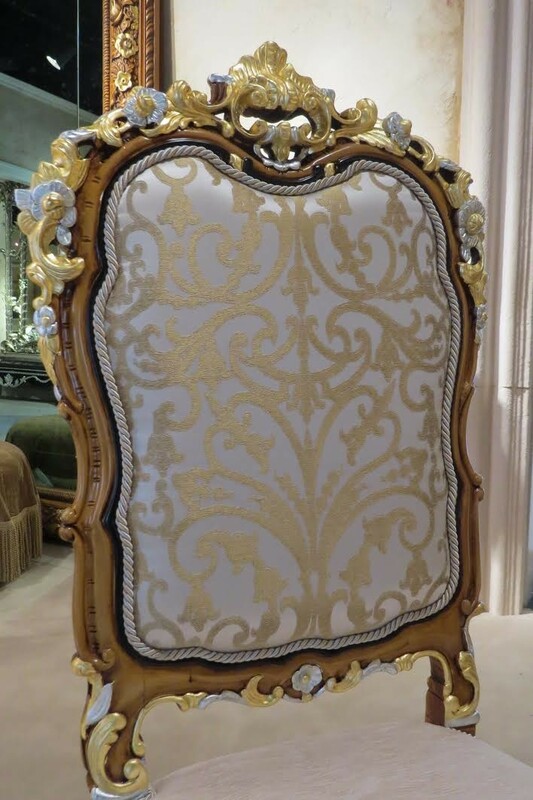 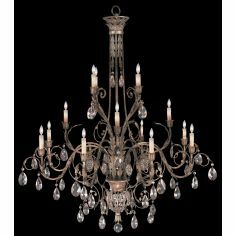 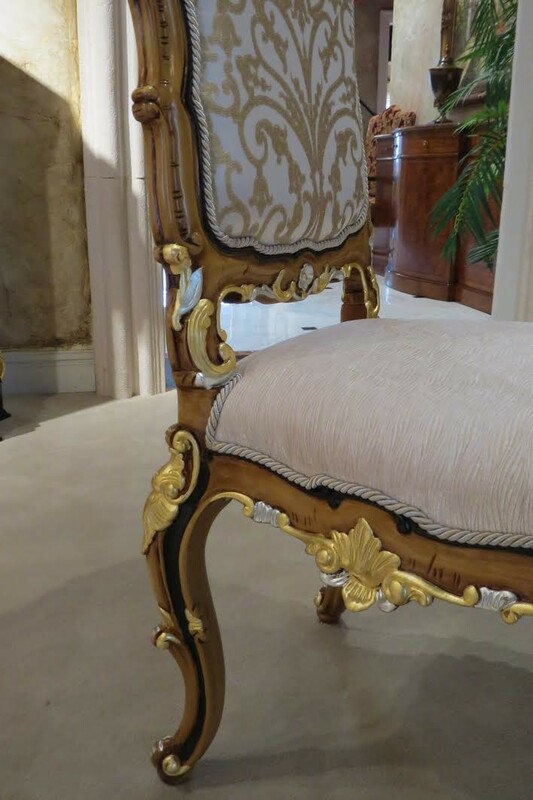 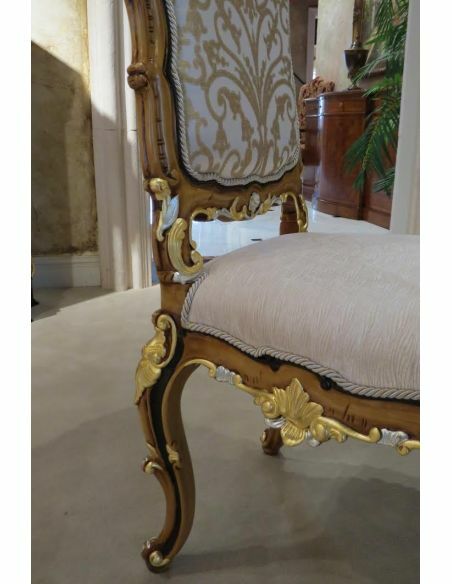 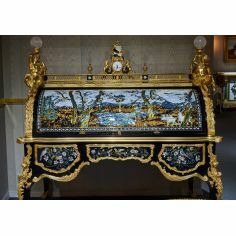 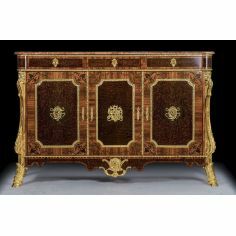 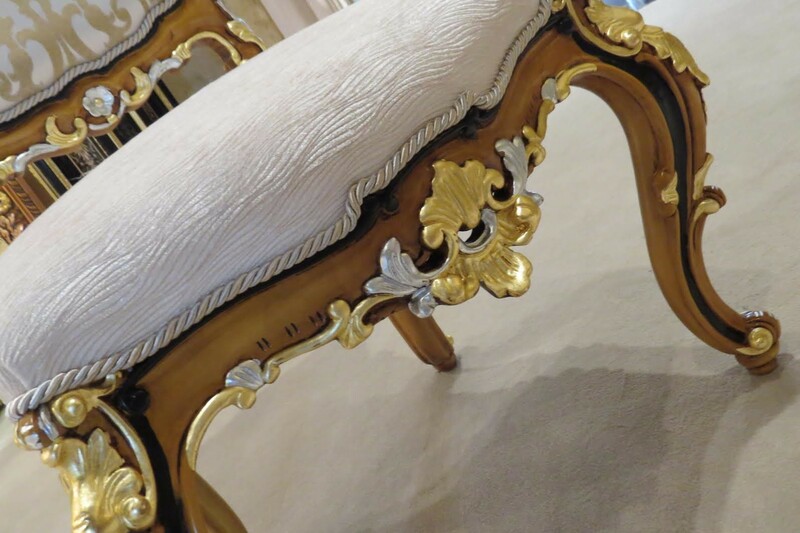 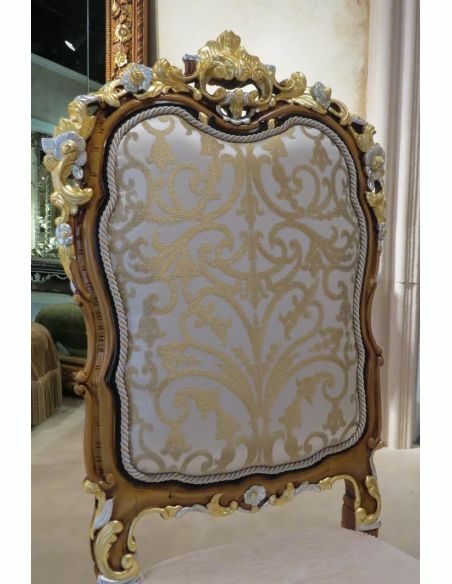 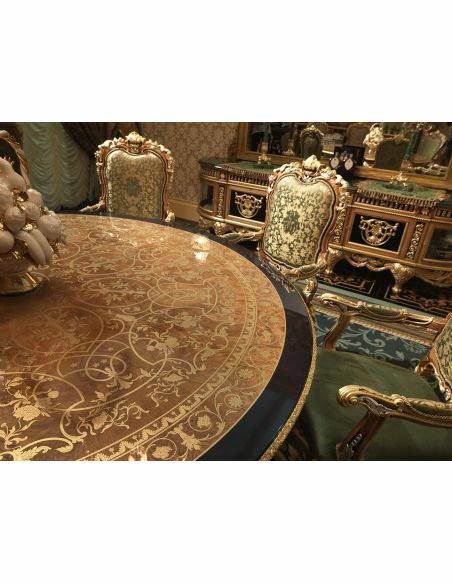 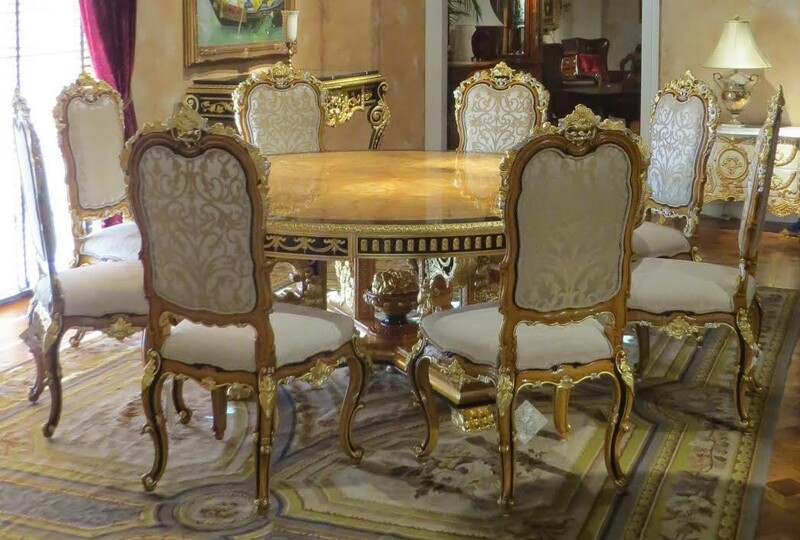 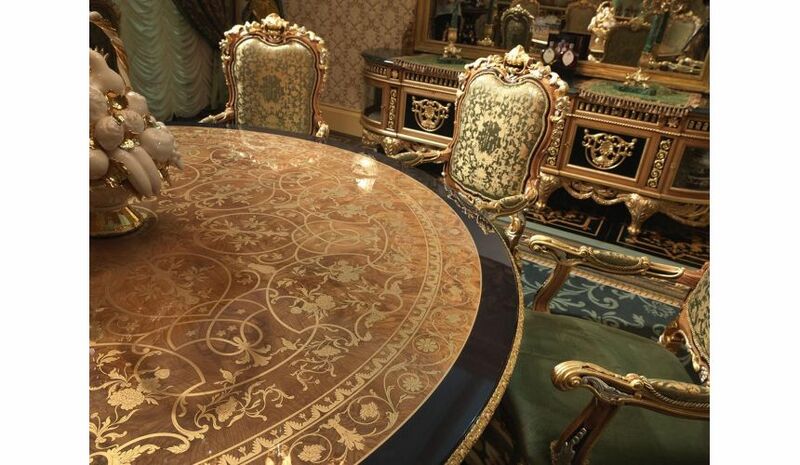 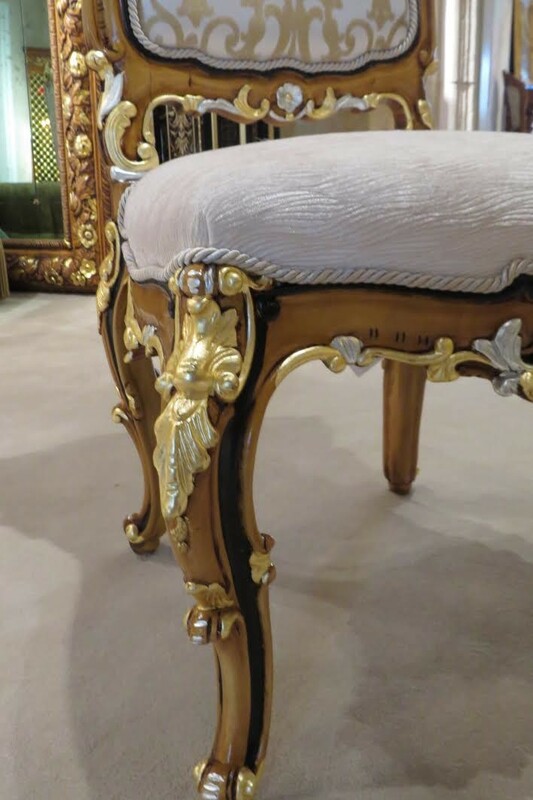 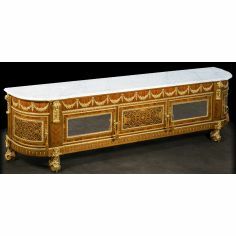 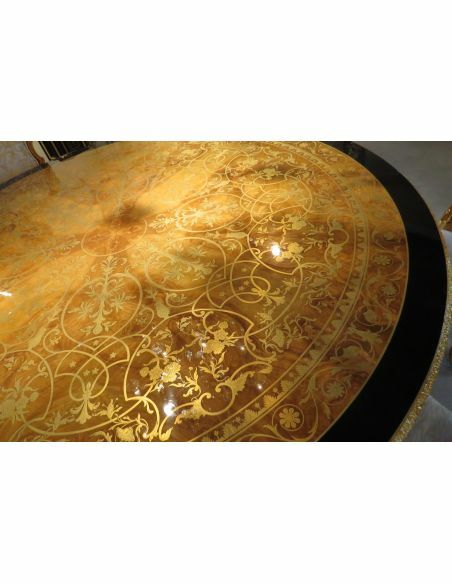 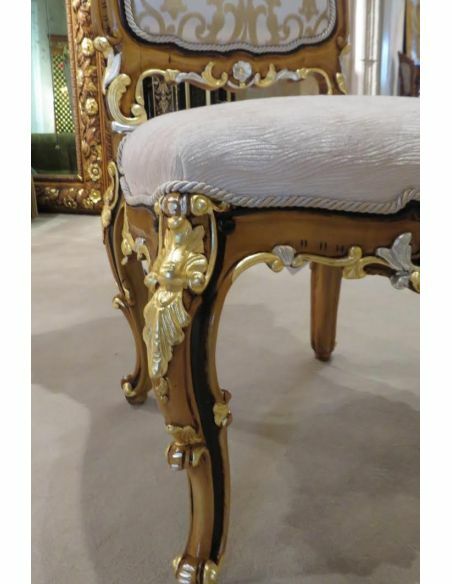 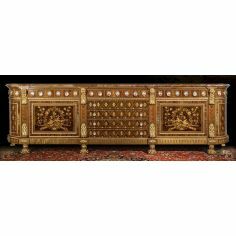 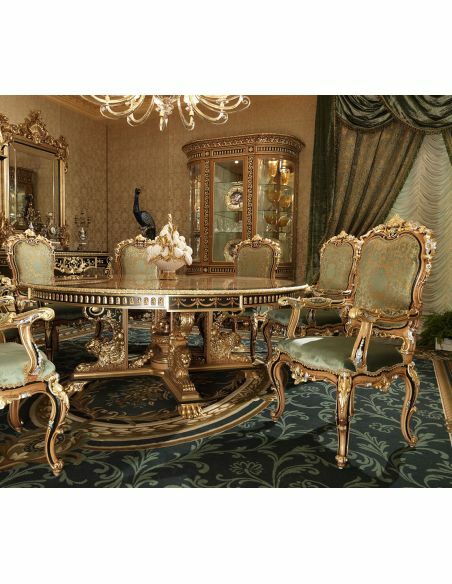 The gold embellishments are 24 carat gold leaf. 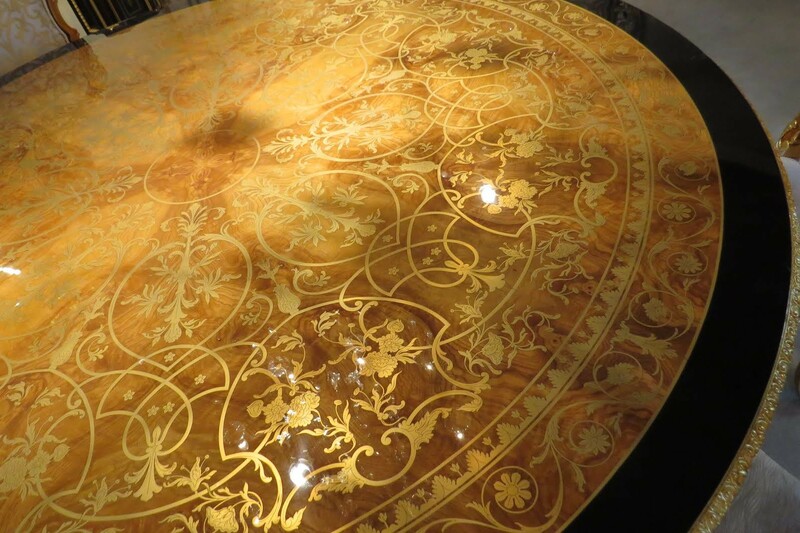 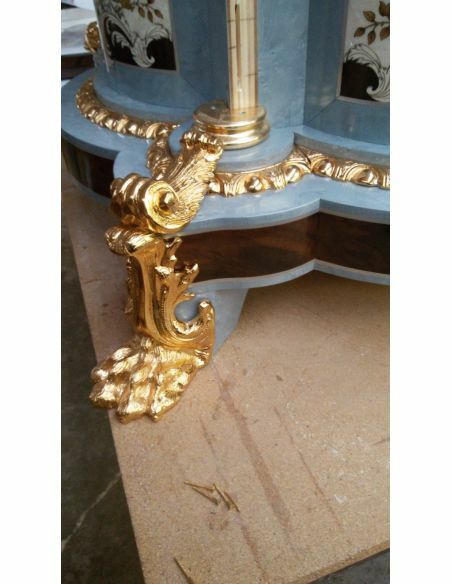 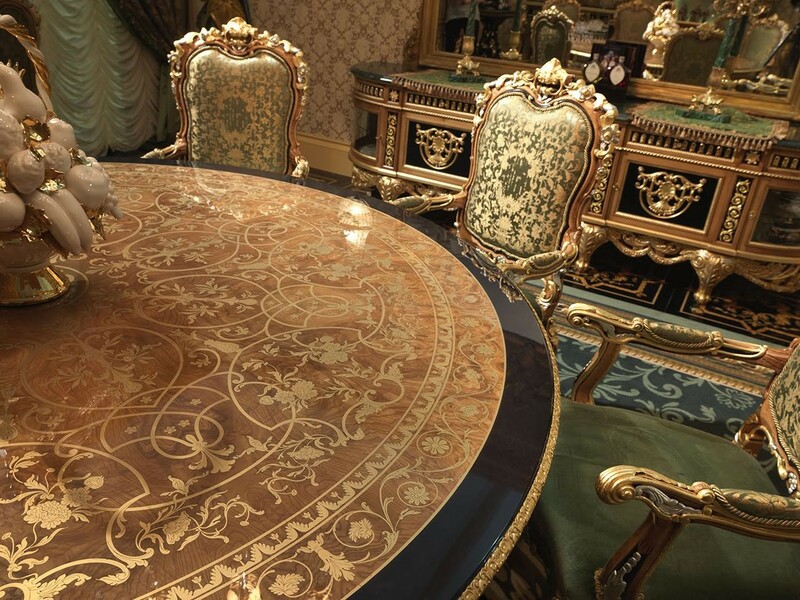 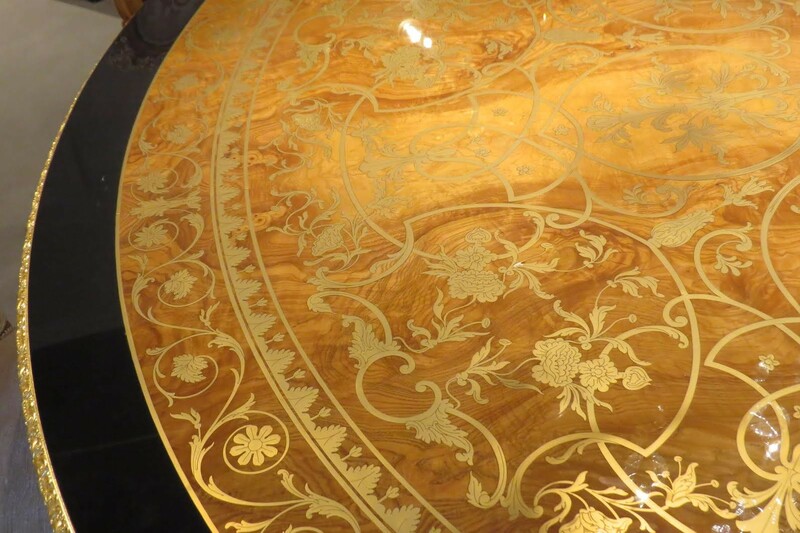 The table top field is inlay of brass and European burl of Ash wood. 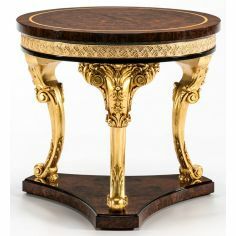 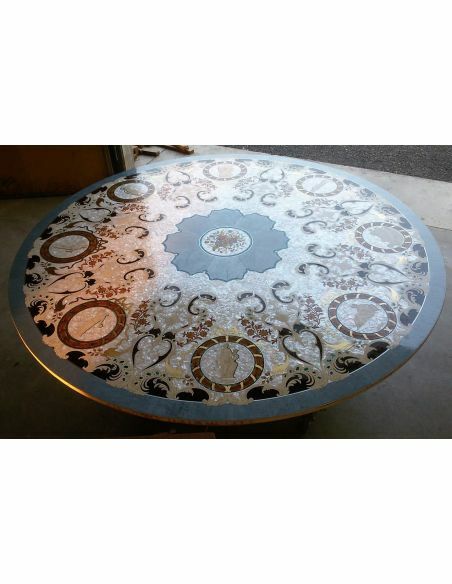 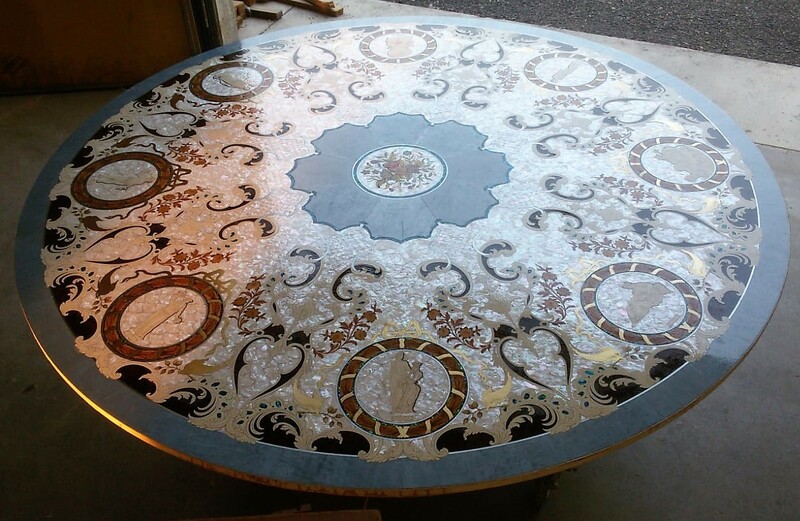 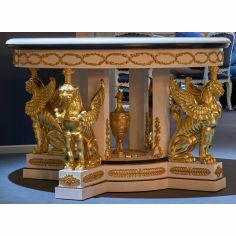 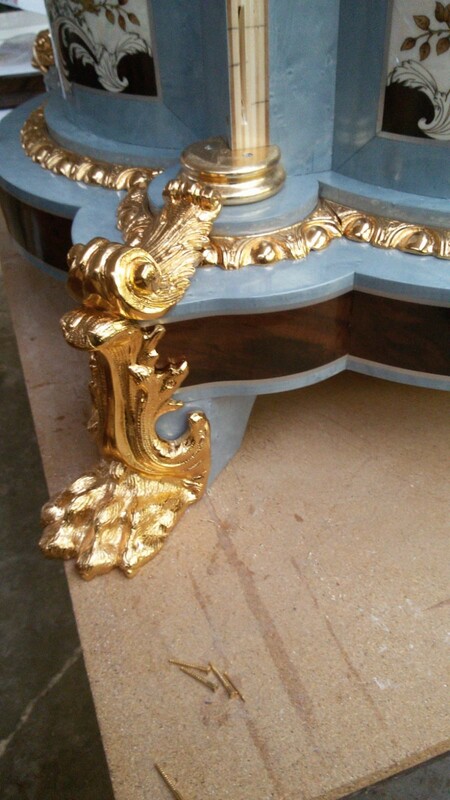 This table can be made to Custom sizes, shapes and colors and can also be used for a excellent foyer entry table as well.